We’d just spent the afternoon shooting amongst the Palaeolithic Basalt spires at Bombo Quarry. To satiate our hunger we had this excellent dinner at this fantastic little restaurant in Kiama (yum!). It was an unexpected find and with our stomachs now well and truly full we were just about to head out on the long drive back to Sydney. I looked up into the sky and saw relatively clear skies and stars. 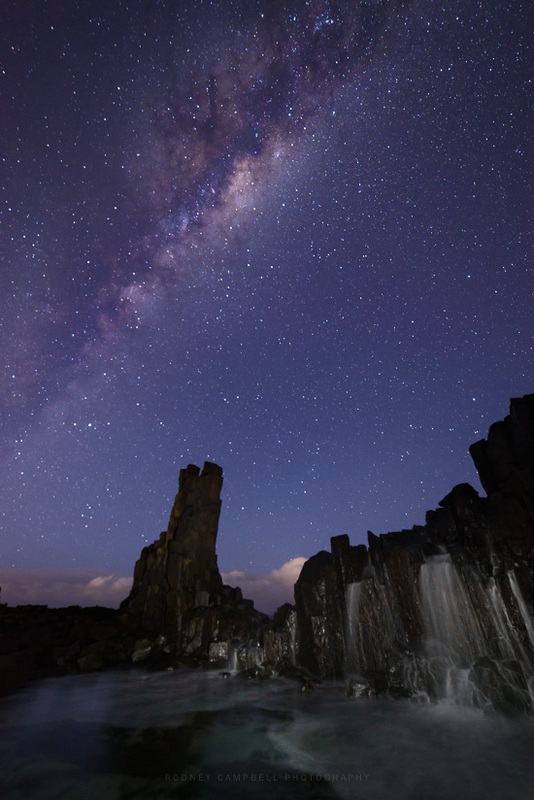 Somehow I managed to convince the others to stop back at Bombo once more to check them out under starry skies. Only Ron was willing to stumble around in the pitch black right next to the raging ocean with me :). The others remained in the comfort of the car whilst Ron and I looked for some compositions in this crazy rocky wonderland. 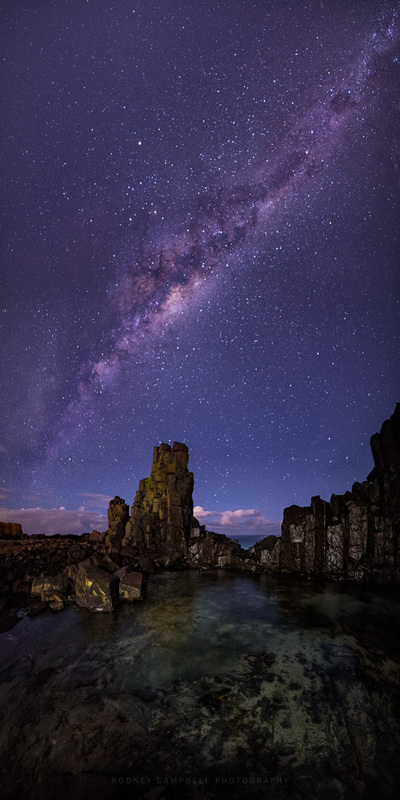 The image above is a vertical stitched panormama (vertorama) composed of five (5) horizontal frames with the ultra wide Samyang 14mm. I composed it to contain the milky way streaking diagonally through the frame overhead. With a little light painting of the foreground during the forwards and downwards frames to bring it out of the absolute darkness.